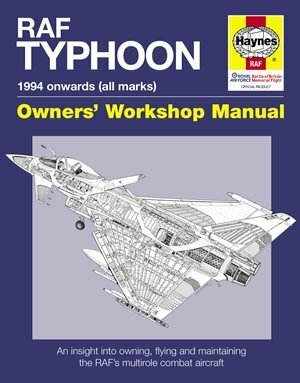 Published with the full cooperation of the RAF, the Typhoon is given the Haynes Manual treatment and offers readers a unique insight into flying and maintaining the latest high-tech combat aircraft in the RAF’s inventory. Highly capable and extremely agile, the RAF’s Typhoon (Eurofighter) is a multi-role combat aircraft that is capable of being deployed across the full spectrum of air operations – from air policing, to peace support, through to high-intensity conflict. 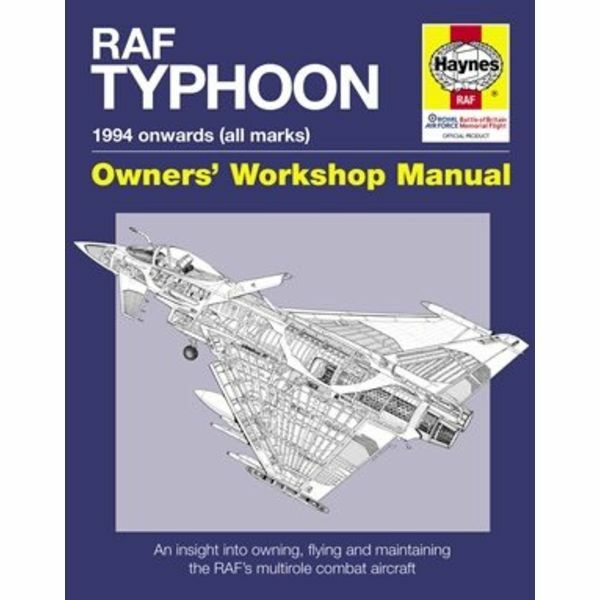 Published with the full cooperation of the RAF, the Typhoon is given the Haynes Manual treatment and offers readers a unique insight into flying and maintaining the latest high-tech combat aircraft in the RAF’s inventory. Published 2016, 152 pages, hardcover.